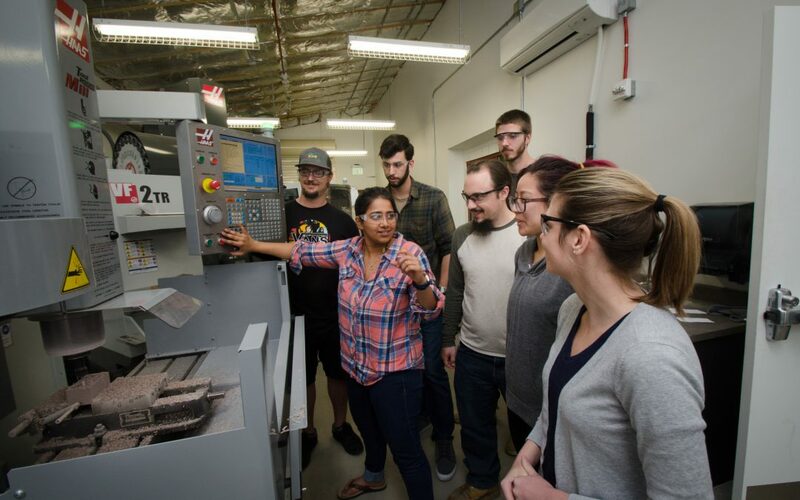 With a shop full of advanced machines and curriculum to train students in the latest software, Palomar College’s Computer-Aided Design and Manufacturing (CAD/CAM) program is producing graduates who combine two powerful skill sets: design and machining. In the workshop, program director Dennis Lutz presides over a collection of equipment that would make most machinists blush. But it’s in the computer lab where students learn the most important steps in the process of design and manufacturing—mastering software like AutoCAD, SolidWORKS and MasterCAM. As of fall 2017, Palomar is one of the only places in San Diego County where students can learn on this combination of software applications and advanced equipment.